Radek Stepanek, currently ranked as the World Number 27 is a Czech Republic Player. He is famous for his right handed backhand strokes. To know more about this Czech Republic star, read this full article. Radek Stepanek, born on 27 November 1978 in Karvina, Czech Republic.He became a professional player in 1996 and reached its previous best ranking 8, in July 2006. Stepanek has won four singles titles and thirteen double titles.Stepanek started Careers as a doubles tennis players. From the 2002 season Stepanek,mainly focused on singles.In 2003 season he defeated former world number one Gustavo Kuerten in five sets in the second round of the Australian Open .2006 was Stepanek's best season so far. He won that year his first ATP singles title, in Rotterdam against Christophe Rochus . He reached the quarterfinals of the Wimbledon Championships , which he lost to Jonas Bjorkman. The same season he beat Jose Acasuso in the semifinals of the Masters Series event in Hamburg. He later lost the final in straight sets against Spaniard Tommy Robredo .During the season Stepanek reached its highest singles ranking (number 8), but was in the latter part of the season forced the game stay because of a chronic neck injury.2007 season, he won his second ATP singles title in Los Angeles through the final victory over James Blake in three sets.In the second round of U.S. Open tennis 2007, Stepanek close to victory against the third seeded Novak Djokovic , but then finally after 4 hours and 44 minutes of play. The result was 7-6 (4), 6-7 (5), 7-5, 5-7, 6-7 (2). Stepanek began in 2009 with a new racquet . He won the first race and took her third title in Brisbane. In the finals he defeated Fernando Verdasco.During the SAP Open in San Jose Stepanek won his fourth ATP title by winning against Mardy Fish in three sets. In the semifinals he defeated Andy Roddick, after losing to him in the past four meetings. He also won the doubles final with Tommy Haas . This meant that Stepanek for the first time won both single-and double title in the same competition.In 2009 Davis Cup's first game against France, Stepanek lost the first match against Jo-Wilfried Tsonga in straight sets. The next day he won the doubles, and the day after he won even his second singles match against Gilles Simon in straight sets. This was the Czech Republic to the quarterfinals of the Davis Cup. In the quarterfinals, he used the fifth and decisive match and took his country to the semifinals. 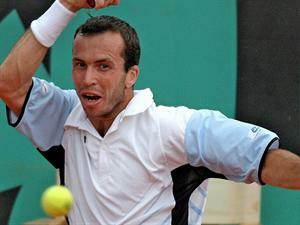 In the semi-final won Stepanek over Croatian Ivo Karlovic in a marathon game of 82 game (6-7, 7-6, 7-6, 6-7, 16-14). The match was one of the longest in Davis Cup history and lasted 5 hours and 59 minutes. Czech Republic later joined to the finals against Spain which they lost. Stepanek lost in five sets to David Ferrer .